(Chris Detrick | The Salt Lake Tribune) Utah Jazz guard Donovan Mitchell (45) Utah Jazz center Rudy Gobert (27) Utah Jazz forward Joe Ingles (2) and Utah Jazz guard Ricky Rubio (3) walk off of the court during the game at Vivint Smart Home Arena Friday, January 19, 2018. New York Knicks defeated Utah Jazz 117-115. That’s not what the Jazz have done. ESPN recently reported that more than half of the NBA’s talent pool could be free agents in 2019. That includes All-Stars Klay Thompson, Jimmy Butler, and Kyrie Irving as well as strong starters such as Tobias Harris and Khris Middleton. An influx of one-year deals this offseason — as players hope for a cap spike next summer — has only increased the potential for snagging a few helpful pieces next year. Maybe it won’t be necessary. Jazz players have been spotted together throughout the summer, with seven of them sitting courtside at one Summer League game in Las Vegas. There’s an undeniable chemistry off the court that the Jazz hope can translate into winning games on it. 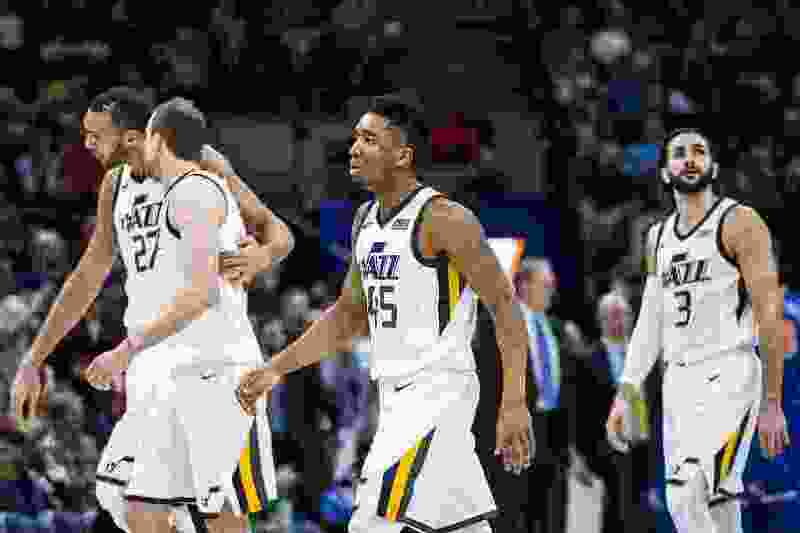 There’s also a strong feeling about Utah’s youth: Even beyond Donovan Mitchell, who became a breakout star, Royce O’Neale and Exum still have room to grow, and Rudy Gobert (26 years old) is entering his prime. But whichever road the Jazz choose to take next year — continuity or change — the path will be clear to move forward.